Northumbria police are investigating an alleged incident involving England goalkeeper Jordan Pickford in Sunderland. A video circulated online allegedly shows the Everton player at the centre of a street brawl. It was captured in the hours after Pickford’s former club Sunderland lost to Portsmouth on penalties in the Checkatrade Trophy final on Sunday. Northumbria police said: “At 12:19am on Monday, April 1, police received a report of a disturbance involving a large group of individuals on Tunstall Road, Sunderland. Enquiries are ongoing to determine the circumstances surrounding the incident and locate those involved. Pickford was in his home city on a day off following Everton’s victory at West Ham on Saturday. His club have opened an internal investigation into events, only weeks after the manager, Marco Silva, said the 25-year-old needed to improve his “emotional balance” following an erratic display against Newcastle. 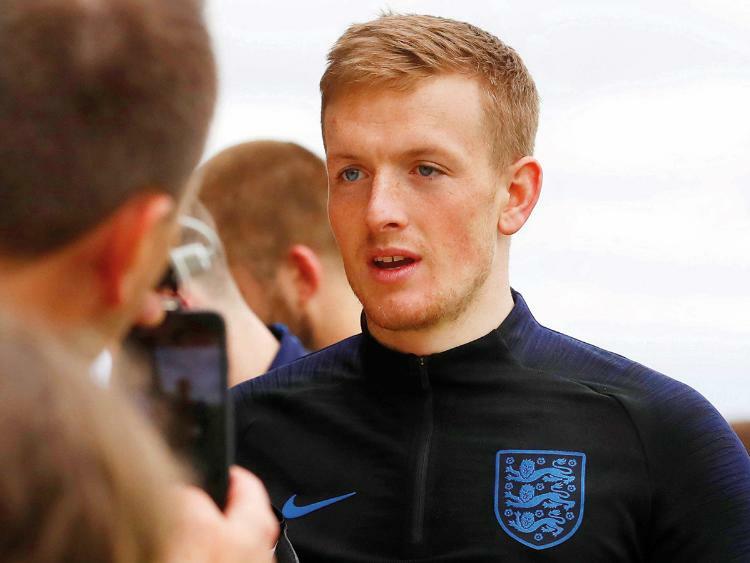 Pickford was visiting family in Sunderland for Mother’s Day, despite having tickets to see his former club play Portsmouth at Wembley in the Checkatrade Trophy final. Having watched the game he went out with family and friends to a bar where he is understood to have been verbally abused. According to reports, Pickford was subjected to what was described as “good-natured banter” rather than any malicious criticism of some of his recent mistakes for Everton — being told he had “small arms” and “butterfingers”. Pickford took the abuse well initially, posing for photographs while giving a V-sign to the man hurling the insults. However, at a different bar later on his fiancee was also insulted and that prompted an alleged fracas involving Pickford before he was led away by friends. I've not took much interest in this to be honest, hence why I didn't report it. Pickford seems a bit of a Jack The Lad, so needs to re-focus and ensure he avoids these silly episodes, as his England position will be put in jeopardy if he doesn't. Jordan Pickford has apologised to Everton after becoming embroiled in a brawl outside a Sunderland bar. And keeper Pickford has been hit with a six-figure fine for breaking the club’s disciplinary code, with Marco Silva reading the riot act. The Blues' boss explained the meeting was private and disciplinary measures internal but made clear there had been a fine and an apology from the current England No1, when he said: “If you want to use these words these are your words. “We have a disciplinary process inside the club, not just for Jordan but for all the players and they know what the rules are. Everything was clear to them from the first moment they join our club. And everything was so easy to decide then.